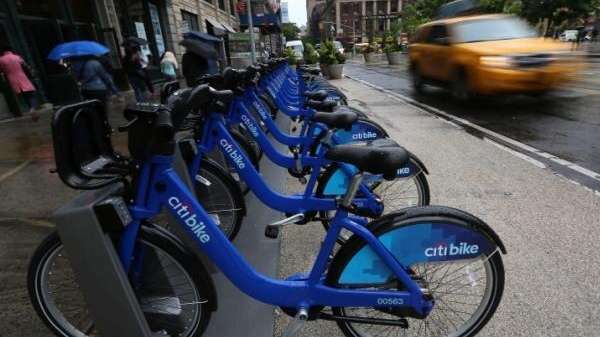 With New Yorkers turning to Citi Bike to get around, Sen. Charles Schumer Tuesday said he wants to give two-wheel commuters a tax break. Schumer will introduce a bill this week that adds bike share to the list of commuting options that receive a tax break. "It makes no sense for cars, trains, buses and private bicycles to be covered by this program but not bike shares, and this legislation will fix that," Schumer said in a statement. For riders with a Citi Bike membership through their employer, the plan would cut their taxable income by $20 a month. Schumer hopes the tax break will give companies incentive to offer employees a free Citi Bike membership, which costs $95 a year.